In today’s marketing world, it’s crucial that enterprise marketers not only know how programs are performing, but also possess the data to prove that performance. To demonstrate the effectiveness of their campaigns, marketers need to set the right goals to measure. 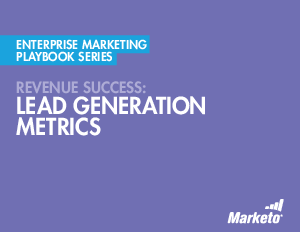 Read this playbook to learn how to measure and prove marketing ROI to get the proper credit for generating sales meetings and opportunities.